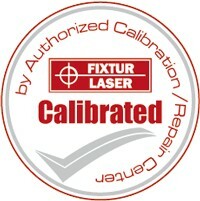 For a professional calibration of your Fixturlaser product please contact us using the telephone number at the top of the page or use the contact form to the right. It is recommended you calibrate your equipment every two years. If you use us, in addition to the calibration of your equipment all software updates will be performed free of charge. Having your Laser equipment calibrated by the OEM allows misreadings to be corrected using specialised equipment. Simply verifying what the equipment is reading is not enough as any errors will still be present. Lifetime warranties also require that the equipment is sent back for calibration every two years. Keep your Laser alignment equipment in tip top condition. Call us now on 01494 429800 to arrange a calibration.